Web Design Services ideal for small businesses or individuals who are need of an update to an outdated existing website, or an entirely new basic website. Available anywhere in the U.S.
My website design services are ideal for small businesses or individuals who are need of an update to an outdated existing site, or an entirely new basic site. I have experience building websites from scratch with custom HTML and CSS, and primarily use this in conjunction with Wordpress. I'm also familiar with using Webflow and Squarespace site-building platforms. In addition to building or upgrading your site, I will handle new domain set up and/or domain transfer, as well as website hosting or transfer. In addition, you can add on the option of a jumpstart SEO Marketing plan, or SEO audit to your current site, and Social Media Marketing setup plus Integration. This site was completed for a non-profit organization that provides a recreational and learning environment for special needs children operating in Pawleys Island, SC. This was originally my first website, designed entirely with custom HTML coding without the help of any website builders. One year later, I followed the same color scheme and upgraded the look to a modern, cleaner Wordpress theme. This 7 page layout includes press release links, a gallery, downloadable application form, contact form, and link to their GoFundMe page. American Security Mortgage offers a personalized professional approach to mortgage lending and refinancing services with over 100 years in combined banking experience by it's founders. This simple one page site was created with Webflow and includes a simple flow of client testimonials, Southeast locations all part of the Heinemann Team, and all the team members included at these three locations. It also features links back to their primary company site to all their various mortgage calculators from rent vs. own, to refinance break-even point, debt consolidation and tax savings just to name a few. 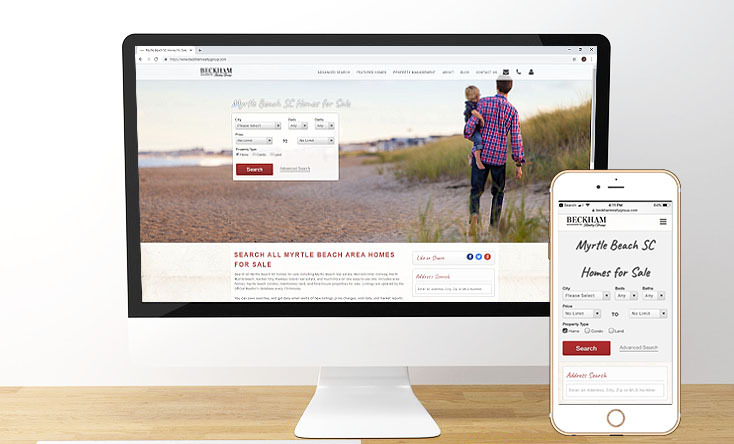 This Myrtle Beach area real estate site was built using the Real Geeks Real Estate marketing platform as its foundation. By itself, the Real Geeks website platform is dry, so the site was customized with CSS to include a rotating image header when you load the home page, as well as customized fonts, navigation bar, images, and search bar for homes. In addition, it includes monthly blogs managed with keywords that optimize search engine traffic and discuss topics from local Market trends and data to area information for potential buyers looking to relocate to the Myrtle Beach area. Built in Wordpress, this was a customized site for a small tree service business based out of Southwestern Connecticut. There was a lot of custom CSS styling changes made to the theme. It includes a lot of interactive transitions in between pages with fixed backgrounds, links to various YouTube videos uploaded by the owner, a full gallery, social media links and detailed contact form that allows users to hone into the services they are seeking. The site is built primarily to serve as a virtual portfolio of the owner’s work and to add a better way for new customers to get in touch or inquire for services. 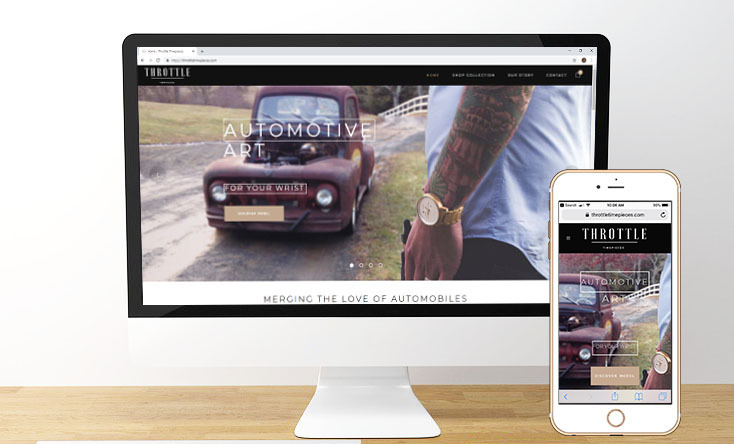 Still in the making, Throttle Timepieces will be the first E-Commerce site designed by Cat’s Creatives. Based out of New England and operating primarily as an online retailer, Throttle Timepieces will be offering a line of unique watches to a niche Market worldwide. The site is built with Wordpress and will feature interactive revolution sliders, product pages and an interactive feel throughout using WooCommerce integrated with Square for its point of sale system.